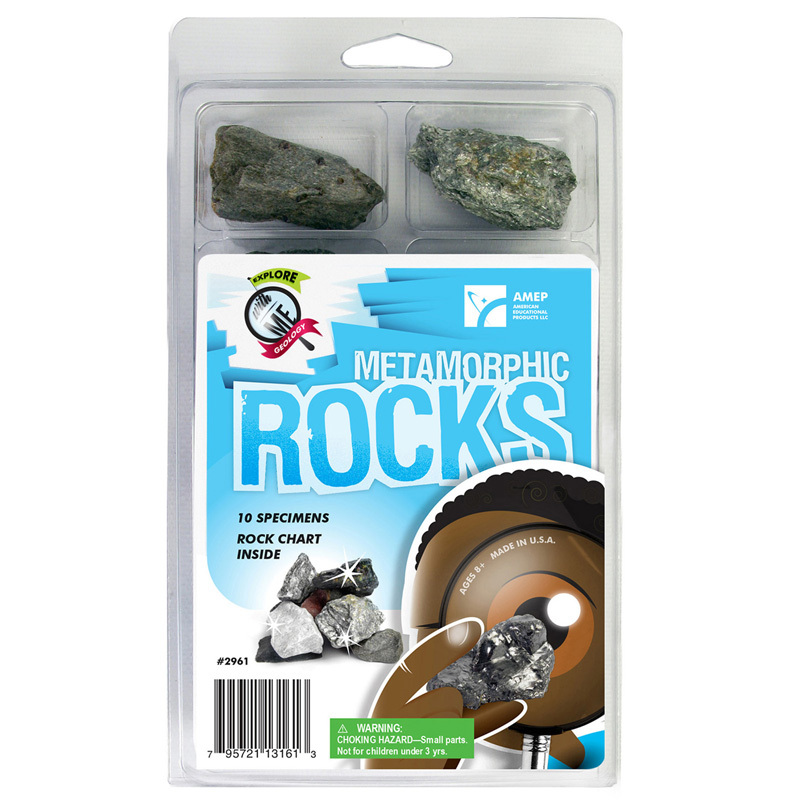 Part of the EXPLORE WITH ME GEOLOGY™ series, the Metamorphic Rock Collection includes a set of 10 specimens enclosed in a handy, plastic storage container. The included rock identification chart, complete with images and a brief description will help kids better understand how metamorphic rocks are created. A perfect starter set for the young budding geologist!